It’s up to each one of us to change what we ask for, to have a bucket list that is no longer based in cruelty, but one borne of compassion. 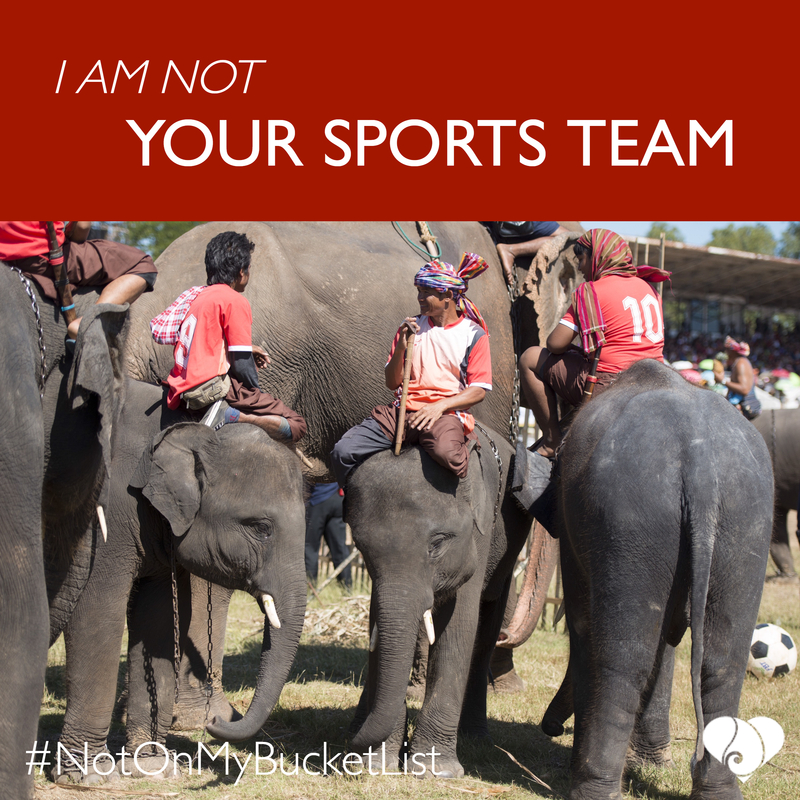 Spreading awareness, educating fellow travelers, and inspiring family and friends to take Compassionate Action for Elephants will create a better world–for the elephants in captivity, for their caregivers, and for those still living in the wild. It may seem exotic, but in reality it is just plain cruel. Stolen from their families, confined without free access to food, water and rest, and forced to undergo sustained and systematic abuse, trekking/temple/circus and tourist elephants are suffering shells of what they used to be. What they endure behind the scenes to submit to the demands of uninformed travelers simply does not need to happen. Putting the Needs of the Elephant before the “need” for a Selfie. 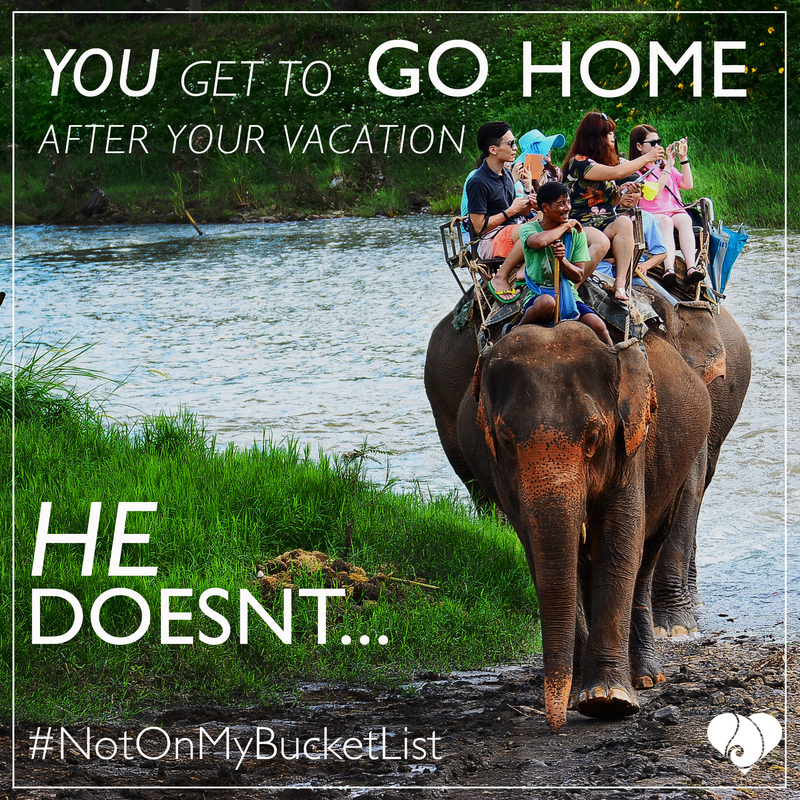 If your vacation plans include having an elephant experience, make sure you’re supporting truly ethical sanctuaries by only visiting or volunteering with organizations that place the needs of the elephant before the desires of your holiday. 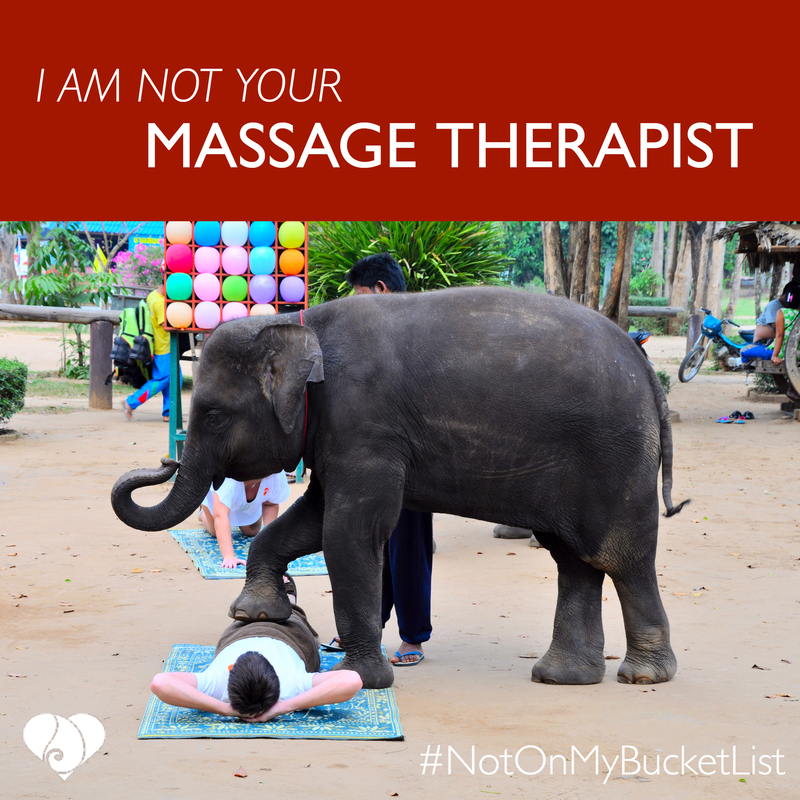 Let Your Bucket List create a BETTER world for Elephants! Elephants in captivity are not going away, and animal lovers can be a part of the problem or a part of the solution. If the elephant is made to do behaviors you wouldn’t see in the wild,then don’t support organizations making them act that way for you. If freedom in the wild is not an option, then freedom to express their natural behaviors is our responsibility. It’s up to each one of us to Rise Up, Speak Out, and re-create a world where loving elephants means letting them BE elephants. 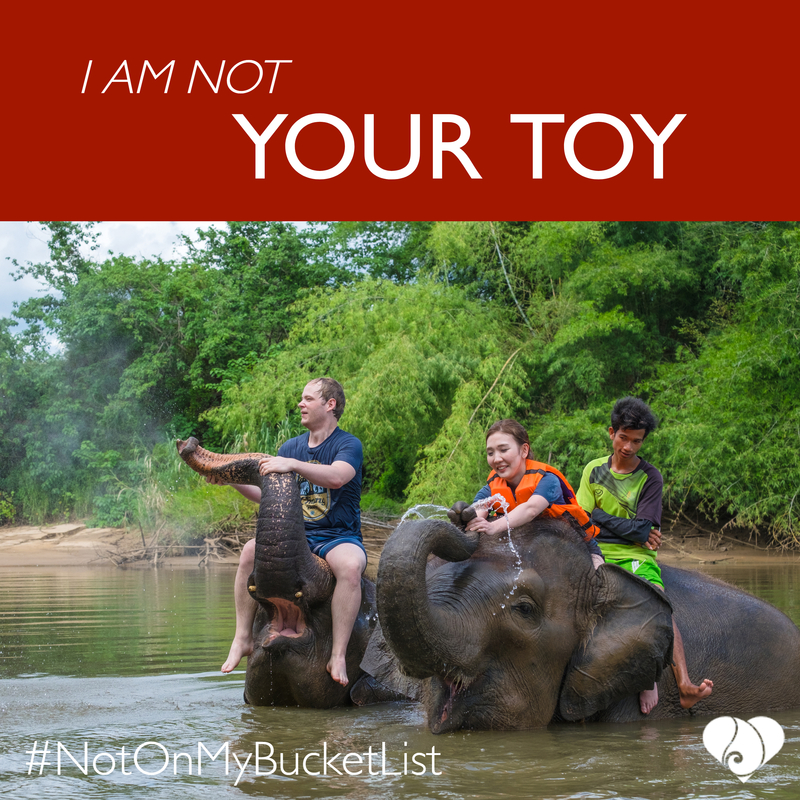 Reach out your hand in compassion by sharing the international campaign of #NotOnMyBucketList, and help spread awareness and positive change around the world! 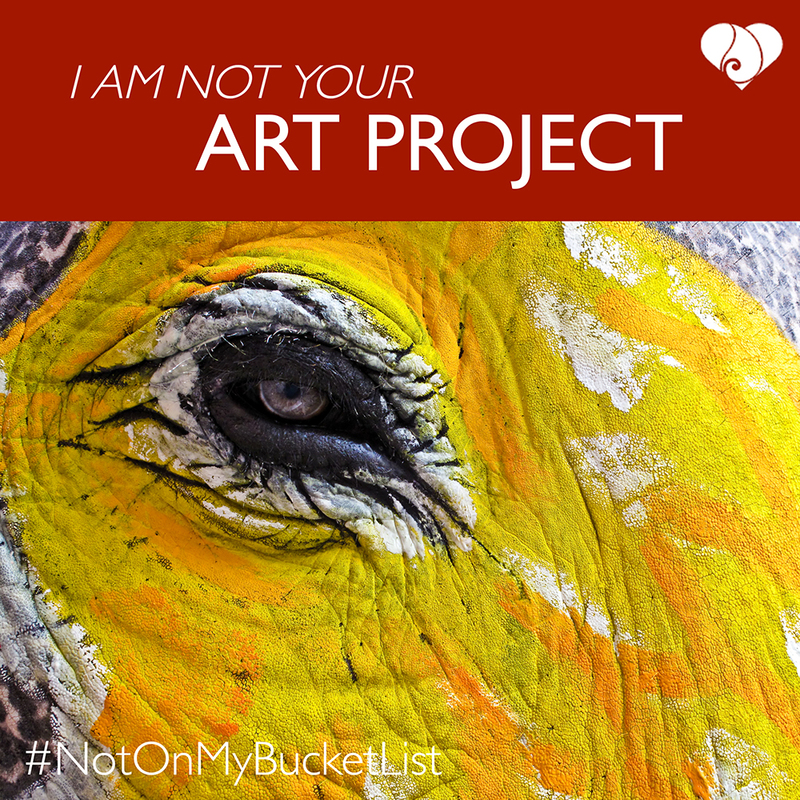 It’s quick, it’s easy, and the elephants need your voice! 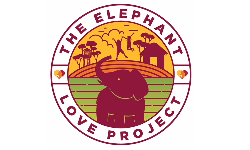 Tag “Heart of Ganesh”, and make sure your IG account is public so we can see your post, then we’ll re-post your share, spreading the word twice as far. 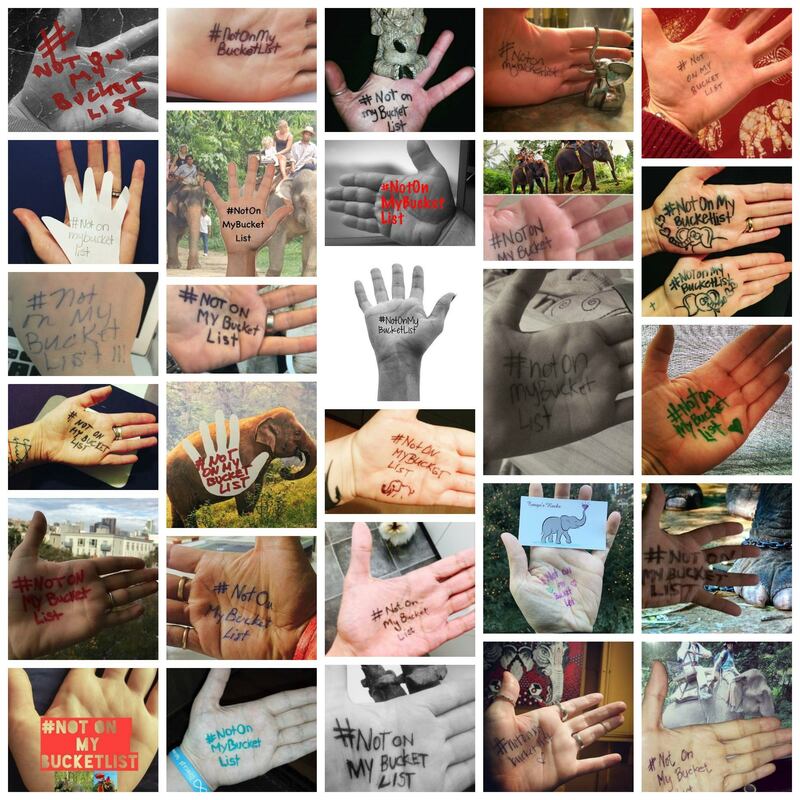 Thank you for reaching out your hand to create a kinder world for elephants!